Combine the 3 cups flour, salt and baking powder in large bowl. Either by hand, or with pastry blender, work in the shortening until crumbly (you can add a little more shortening if the mixture looks too floury). Slowly add the water (I start with 1 cup and add more as needed) to flour mixture while tossing with a fork. With your hands, knead dough vigorously for about 2 minutes, until it forms a nice dough ball. Cover with cloth and let stand at least 15 minutes. Take a ball of dough (golf ball size for small, slightly more for bigger tortillas) and roll into a ball. Roll in flour to cover. 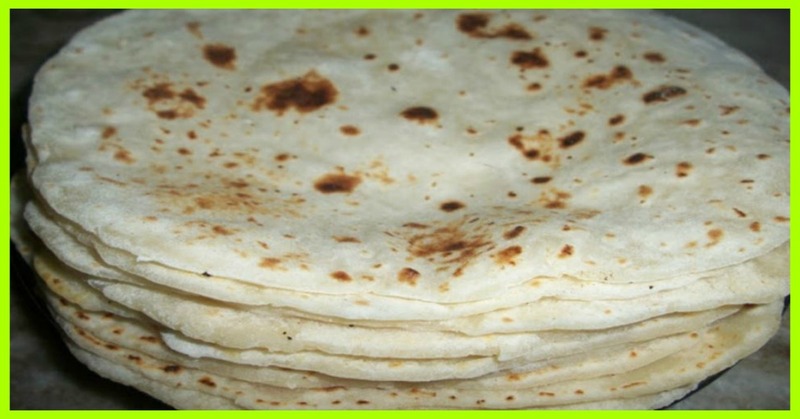 On floured surface, roll out dough evenly and very thin. Place each tortilla on a medium hot cast iron skillet. Cook for about 1-2 minutes on each side, or until the tortilla no longer looks doughy. NOTE: the ingredients are fairly accurate, but feel free to adjust to get the correct consistency.